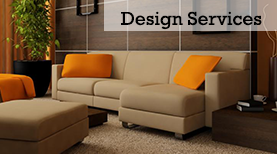 in-home design services and new home furnishings. Our dedicated team will provide unique designs to reflect your personal sense of style and make the most out of your home’s space to create an open, flowing design. 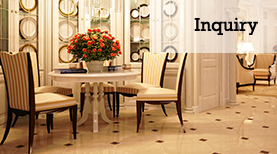 At Kordenbrock Interiors, we specialize in creating interior design elements to bring warmth and comfort into your home. Our experienced designers work directly with you to find the best in wall-to-wall carpeting, area rugs, wallpaper, accessories, home furnishings, and window treatments to fit your home and your lifestyle. 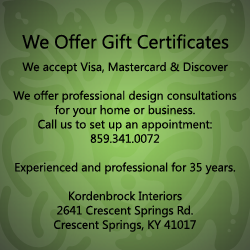 Inquries in Cresent Springs, Kentucky, to discuss your ideas with our skilled interior design professionals.